Difficulty in this section is generally considered to be slightly less than the upstream Purdon's to 49 section and very similar to the standard Cherry Creek section of the Tuolumne. SF Yuba Trip report on oregonkayking.net. If no graph is visible above go to Graph or view the CDEC home page for flows at Jones Bar. South Yuba River Basin Schematic.pdf shows all the gauges, diversions, dams and powerhouses in the SF Yuba and some adjacent basins. 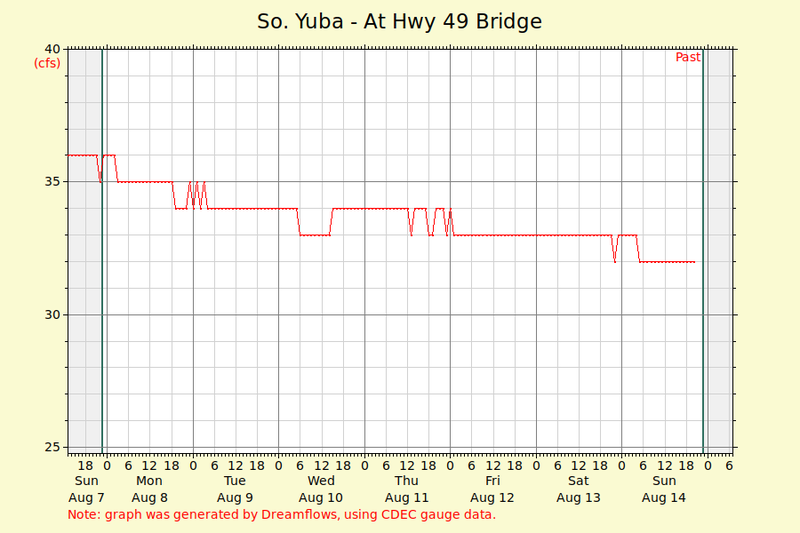 The Bear River will see flows this weekend as part of the relicensing flow studies for the Yuba/ Bear River Project. Come out and boat the release, fill out an online survey and let us know what you think of the run.